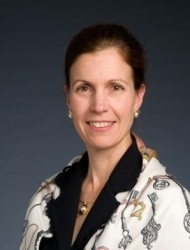 Dr. Katherine E. Paton, of Vancouver, British Columbia, has recently been recognized as a Professional of the Year by Strathmore’s Who’s Who for her outstanding contributions and achievements in field of Ocular Oncology. Dr. Katherine E. Paton is a Clinical Professor and Special Advisor to the Dean at the University of British Columbia. Dr. Paton received her medical degree from the University of Western Ontario. She interned at Vancouver Hospital and was a Resident in Ophthalmology at the University of British Columbia. Dr. Paton studied Ocular Oncology at the University of Toronto, Princess Margaret Hospital and the Hospital for Sick Children. Dr. Paton helped develop the only proton irradiation unit in Canada for ocular tumors, developed a diagnostic ultrasound imaging unit and provides ophthalmology care in the community. Dr. Paton is a recipient of the Vancouver YWCA Woman of Distinction Award in Health and Wellness. In her spare time, Dr. Paton enjoys skiing, hiking and classical music.